Each year, Consulting magazine shines a light on smaller firms that are doing great things. They are firms breaking new ground in terms of firm management, but they are also breaking new ground in terms of their overall financial performance. 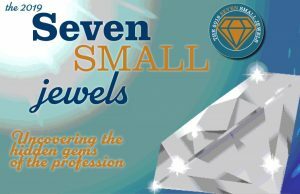 Year in and year out, the Seven Small Jewels far outperform the overall profession.